When it rains it stores — or rather, it could. Most of the region's rain is lost to the Pacific Ocean. But Los Angeles County residents will soon be asked to approve a new tax to save more stormwater. "You see a storm year like  and you see all the water that ends up going through the L.A. River and Ballona Creek and Dominguez Channel, and you say, 'Wow. That could have been our water supply for the next year,'" said Mark Gold of the UCLA Institute of the Environment and Sustainability. Take the eastern San Fernando Valley where Gold says we've "barely scratched the surface" for capturing rainfall. He says the goal is "to capture more of that precious rainfall from the sky and have it actually infiltrate into the ground and get into our groundwater supply." Our flood control system was initially built to speed water to the ocean to avoid damage to communities along the rivers during heavy rain storms. Part of the problem was that, for much of the year, most rivers in this arid landscape were dry. Early settlers sometimes unknowingly built homes right in a riverbed. So from the first settlements to the early 1900s, big rainstorms would periodically cause flooding and destruction along the rivers that run through Los Angeles and surrounding counties. And while local governments raised some money to channelize parts of the river and build dams, the turning point was a disastrous 1938 flood. 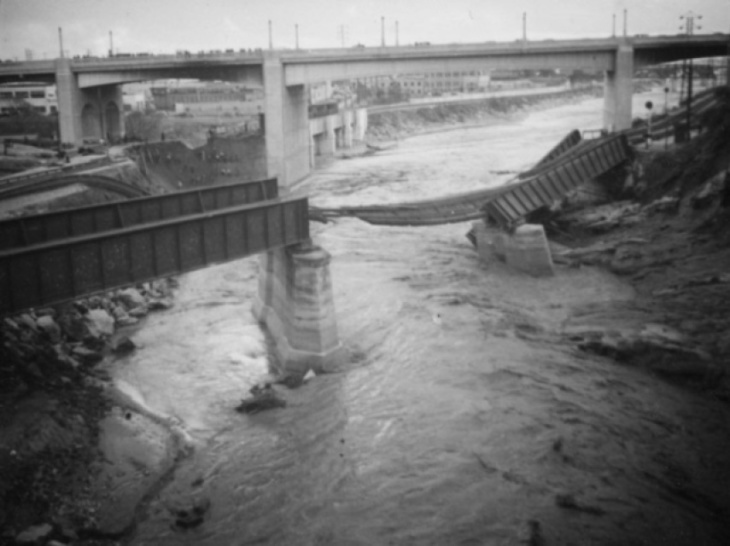 In late February and early March 1938, record-setting rain caused a massive flood on the Los Angeles River. Homes were swept away, bridges torn out. That's back when the L.A. River was a natural river. After that storm, Congress authorized federal money to build a new system designed to flush stormwater out to the Pacific as fast as possible. That's when most of the Los Angeles and the San Gabriel rivers were lined with concrete. 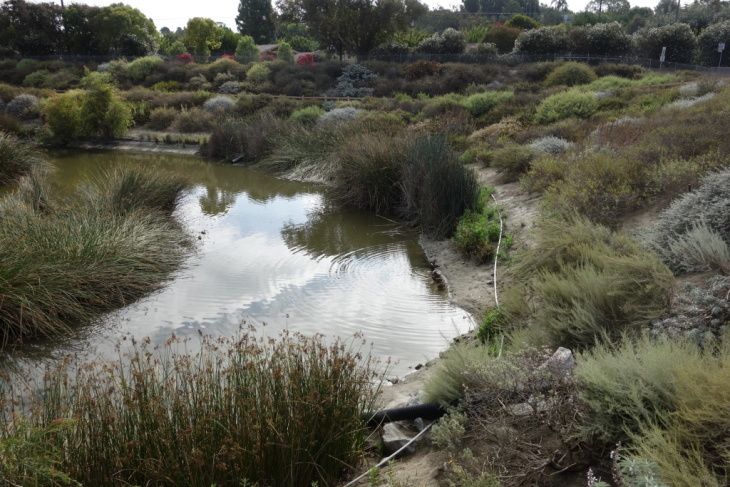 Orange County's Santa Ana River and some of its larger creeks got similar treatment. The system of concrete rivers that the rest of the country found odd was mostly in place by 1960. The rivers may have been turned into the equivalent of concrete gutters but it took decades for the region to adapt to the idea of capturing that water for later use. As the region has struggled through repeated droughts, the sight of all that water being lost to the Pacific Ocean has motivated water agencies to install more projects to capture storm runoff. That's where spreading grounds come in. They are broad fields set up to receive large amounts of stormwater from rivers and drainage channels across the region. The spreading grounds allow water to percolate into underground aquifers. So, can those spreading grounds absorb all the rain? Nope. Sometimes there's too much rain coming down at once to soak it up. That's where the dams come in. High up in the San Gabriel Mountains is a series of dams that capture and control rainwater falling on the slopes. The Morris, San Gabriel and Cogswell dams are visible alongside Highway 39 above Duarte and Azusa. Farther down in the San Gabriel Valley are the Santa Fe and Whittier Narrows dams. And the water in those dams is parceled out to the spreading grounds a bit at a time over many months. 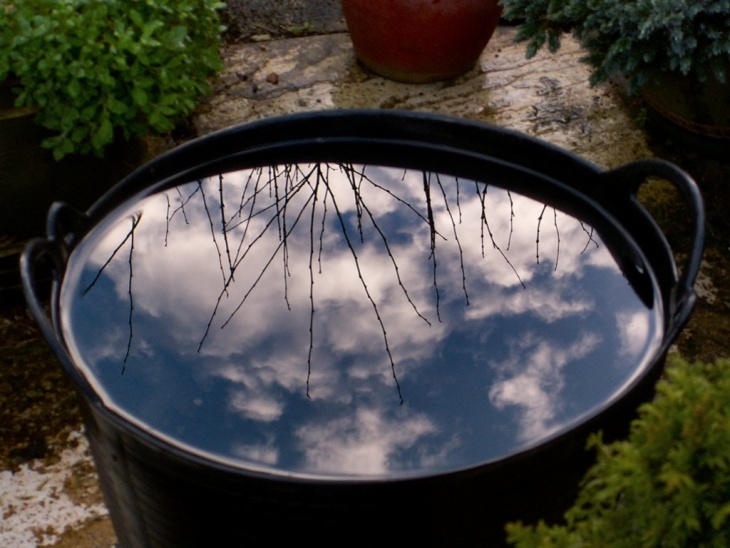 There are some pretty remarkable water saving projects in the works. One in flood-prone Sun Valley is a series of human-made caverns built underneath a park's baseball field. The water flows to the park and drains into these catacombs to be filtered into the groundwater. More projects like these are being built across the region. Some see mega-projects like large dams and river-fed groundwater recharge fields covering hundreds of acres; others see the potential water supply that could come from micro-projects like residential rooftop water capture systems put on millions of homes and businesses. "Right now there are a number of these missed opportunities when we get these wonderful rainstorms," said Cindy Montanez, CEO of Treepeople. The water advocacy nonprofit is collaborating in a project with the large local water utilities, including Los Angeles DWP, to make such projects achievable. "The Trump administration has said they want to spend more on water infrastructure. 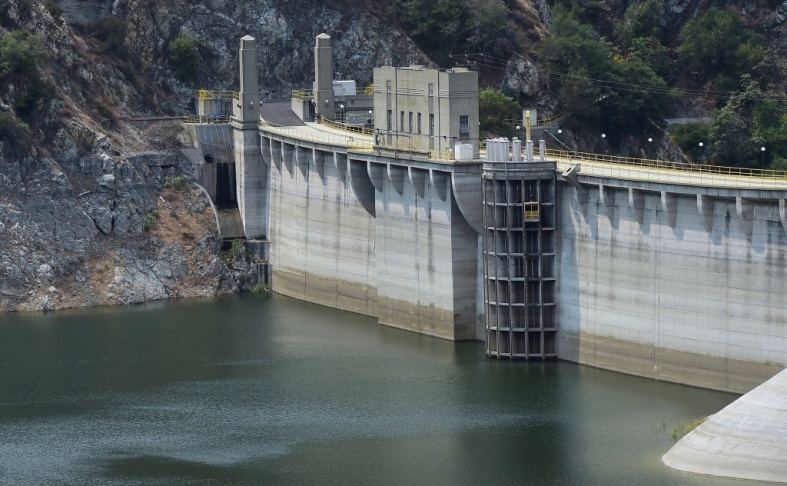 We hope that means that our front yards and distributed stormwater will be seen as an opportunity for stormwater capture, and not just build big dams that are more difficult to site in California," Montanez said. She also hopes the region can get new federal funding to clean pollution from underground water aquifers in the San Fernando Valley, making them more suitable for storing large amounts of stormwater. Gold, the UCLA sustainability expert, said he'd like to see the state put money toward aquifer cleanup and other stormwater storage projects from the $7.5 billion that voters approved for water projects in Prop 1. Like Montanez, Gold also sees potential for more groundwater recharge with "green streets" designs that use porous ground coverings to soak water into the earth.